This is from a home impacted by a near approach of a large forest fire. This is part of the cell wall of a wood fiber. 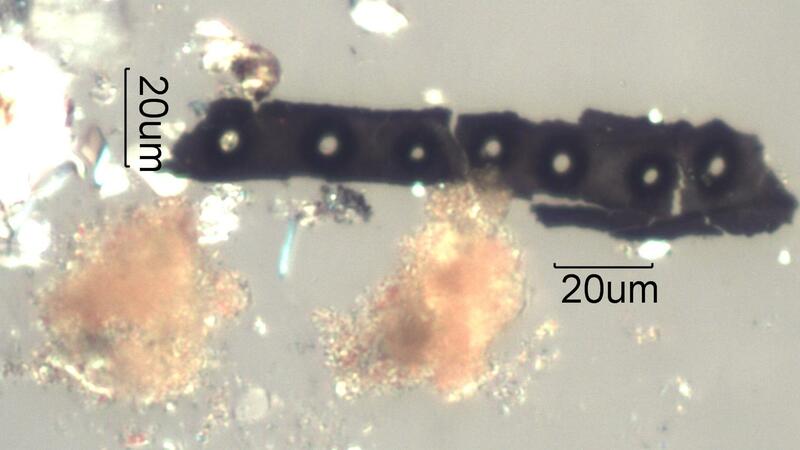 There are two burnt clay particles in this image also.